To many Filipinos who have been away for so long from their motherland, Corregidor recalls images of a ruined island fortress that bore the brunt of the opening salvos of World War II in the Pacific. Converted into a memorial and museum after the war, its main attraction has been a guided tour aboard a tranvia-themed tourist bus around its historic spots. Dubbed “The Rock,” the island was a Spanish naval checkpoint later rearmed by the Americans as a fortress. It fought in the fiercest battles in 1942 against Japan and in its subsequent retaking in 1945 by the Americans, making it among the most heavily bombed islands during the war. Situated at the mouth of Manila Bay, it is at the doorstep of the metropolis and just 75 minutes away from the city’s boardwalk. Regular guided tours run by Sun Cruises Inc. (SCI) take visitors to the key points on the island, such as the “batteries” or series of coastal gun emplacements, tunnels and the ruins of the barracks. Interesting finds are the recreational facilities of U.S. servicemen, which showed that the troops were living the good life before war struck. 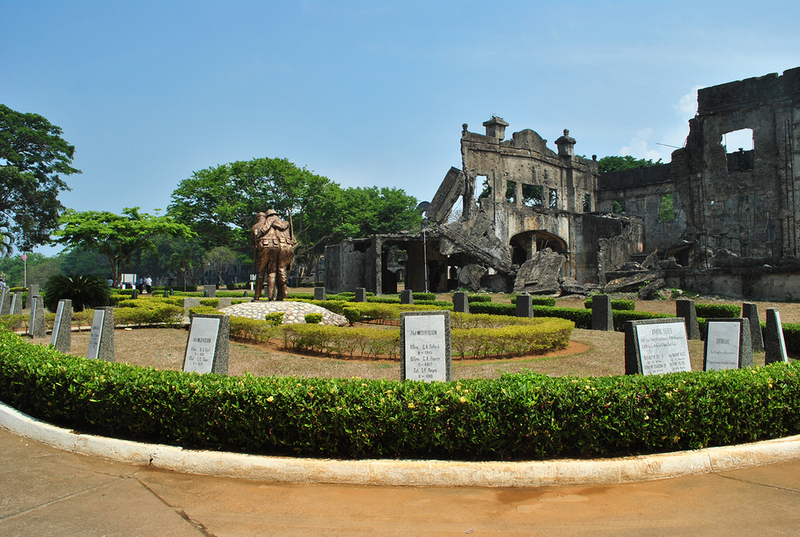 The island’s centerpiece is the Pacific War Memorial, which features a museum, the Eternal Flame metal sculpture and the Altar Dome where the sun pierces through every 12 noon of May 6, the exact time Corregidor was surrendered to the Japanese in 1942. Capping the tour is the Malinta Tunnel Light-and-Sound Show, which provides an audio-visual presentation on the Pacific War. In recent years, the rock of valor has been reinventing itself as a unique getaway not just for history buffs, but also for the younger set seeking a slice of everything in one destination—adventure, nature and culture. Corregidor is a now an emerging eco-tourism site and habitat to exotic animal life, thousands of plants and fruit-bearing trees. Bird species such as the white-collared kingfishers, Asian glossy starlings, Eurasian tree sparrows and blue rock and Philippine cockatoos have been spotted here, making it a potential bird- watching haven. To weekend warriors, Corregidor is an adventure zone which they can explore on foot, on their own bicycles or rented all-terrain vehicles (ATV) away from the traditional tranvia bus rides. Groups of friends can try the Adventure Challenge. Inspired by the TV reality show “The Amazing Race,” it tests the participants’ creativity, planning skills and teamwork. Guests explore the ruins, discover hidden tunnels and decipher clues to complete all the tasks of the game. 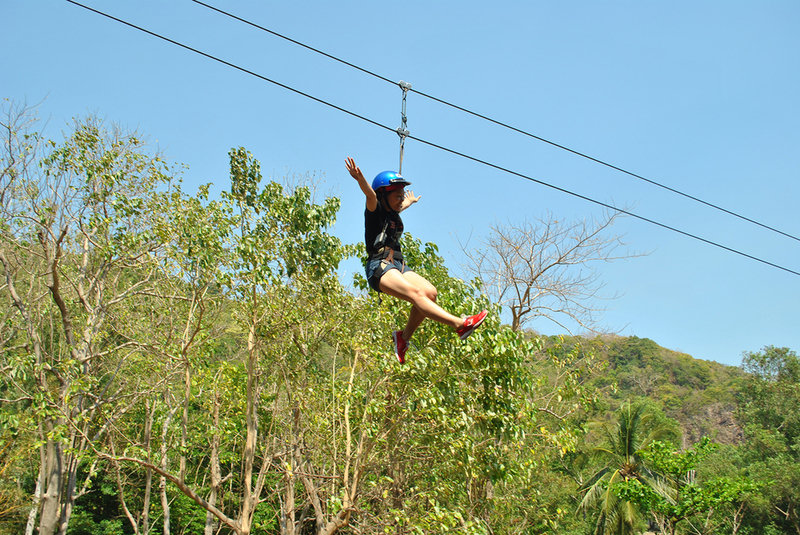 The 300-meter long, 40-feet high ROCKet Zipline, which opened in 2009, is a beginner’s initiation to zip-lining, which is safe yet exciting for all ages. Overnight guests can avail of an additional package tour—sunset at Battery Grubbs, the thrilling Malinta Tunnel night lateral tour and sunrise at the Eternal Flame so they can enjoy the island away from the madding crowd. They can also go around the neighboring islands of La Monja, Caballo and El Fraile (Fort Drum), which used to form an American naval defense system. Moreover, water sports enthusiasts can paddle around the tranquil South Beach with the kayaking activities recently introduced. Meanwhile, fitness buffs have also found the island ideal for half-marathon 21-kilometer runs and yoga sessions because of its serenity. For a more relaxed pace, guests can take the island on foot in a more intimate manner via the Old Manila Walks organized by heritage advocate Ivan Man Dy. Because of its old-world charm, Corregidor has been a favorite spot for pre-nuptial wedding shoots, as well as photo boot camps by renowned photographers. With infinite possibilities for enjoyment, the Rock of valor is also now an isle of adventure and nature. Bernard L. Supetran is editor of EZ Maps, the country's leading tourist map brand and a freelance travel writer for print and online. A culture vulture, Corregidor is among his favorite hideaways (and playgrounds) because of its deep historicity and the adventure it offers. He makes it a point to be in the the island fortress every May 6 to pay homage to the valiant defenders who sacrificed their lives for freedom's sake. 1. Sun Cruises Inc. has package tours that leave at 8:00 a.m. at the Folk Arts Theater. Visit www.corregidorphilippines.com or call 011 632 527-5555. 2. For walking tours, visit www.oldmanilawalks.com. 3. Alternate route to Corregidor: Travel by land to to Bgy. Alas-asin in Mariveles, Bataan, then ride a pumpboat to the island (fare P200.00 or $5) Upon reaching Corregidor, register at the Corregidor Foundation Inc. (entrance fee P150.00 or $3.70) then board a rolling tour vehicle (P50.00 or $1.25).